A cleaning business can be extremely profitable, rewarding and flexible. The start-up costs are low, demand for cleaning services is increasing, and profit margins can be high. In fact, there are many six and seven figure cleaning businesses operating in Australia today, and most of these businesses were created from nothing by someone in exactly the same position as you are today! In this FREE guide, we’ll show you how to replicate their success, get started quickly, and avoid the mistakes most businesses make. Step 1: What Type of Cleaning Business Should You Start? Start with just one or two core services, and add more as you grow. This will keep things simple, help reduce your start-up costs (you only have to purchase one set of equipment and/or products) & give you time to refine your systems and processes. As you expand your business, you can add additional and complementary services quite easily and quickly. Resist the temptation to be everything to everyone; remember specialists can charge more than generalists! 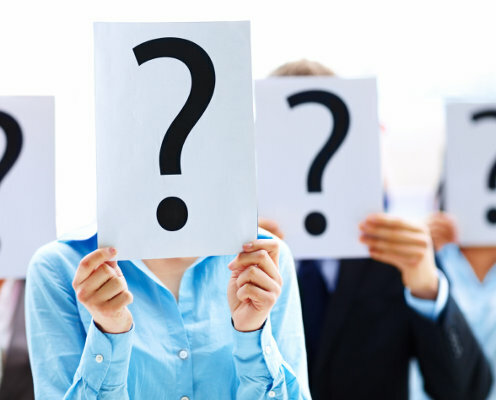 What are the training / licensing requirements (or recommendations)? How much will professional grade equipment / cleaning products cost? 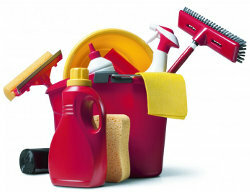 For many people, providing a domestic cleaning service is the ideal place to start. Start-up costs are very low, and demand is increasing every year as people look to ‘outsource’ their home cleaning. All you need to get started are some professional cleaning supplies & public liability insurance – and you are in business! Because the start-up costs are low, it does mean that there can be more competition; however, if you follow our marketing tips you’ll never have to worry about the competition! If you wish to offer a more skilled ‘niche’ cleaning service, you’ll need to be willing to invest more money to purchase equipment, and time to acquire the necessary skills and qualifications. For example, in order to start a professional carpet cleaning company you’ll need a high quality portable or truck-mounted carpet cleaning machine (which will cost at least $10,000 and up to $100,000). The higher investment costs does mean competition is lower and you can demand higher prices, which is why we recommend adding on these additional services once you have established your business (& have existing customers to sell to!). Step 2: Start Your Own Business or Buy a Franchise? Deciding whether to buy a cleaning franchise or create your own business is a decision you’ll need to make early on. There are advantages and disadvantages to both options, and at the end of the day it comes down to your personal preference and individual situation. Start your own business and enjoy the freedom to create a business that meets your own financial and lifestyle goals (but make sure you get the right help & support along the way!). If you do decide to look into buying a cleaning franchise, please make sure you do your research carefully. Ask to speak to current (and previous) franchises and meet with the owners. We’ve heard reports of franchisors not providing much in the way of ongoing service and support, once the upfront fees have been paid. It’s important to get set up properly from the start, and that means thinking about your business registration / structure, insurance, tax and any licenses you might need. Whilst it may seem overwhelming at first, it doesn’t need to be and you can be up and running this week if you want to be! If you choose the most simple business structure, you can do everything quickly and for minimal costs. It is important to remember that we cannot provide legal advice and this information is presented for information purposes only. We cannot be held responsible for any actions you take and you should not rely on the accuracy of this information. Please contact an accountant and solicitor to obtain tax and legal advice before making any decisions regarding your business. Before you can start trading, you’ll need to decide whether to register as a sole trader, partnership, trust or company and apply for an ABN (Australian Business Number). Talk to your accountant and solicitor about the best option for your business. As a sole trader, your business is not treated as a separate legal entity and you can simply declare all income (after expenses have been deducted) along with income from any other sources on your tax return. You’ll pay tax at the same tax rates as individual tax payers. When two or more people are starting a business together. Similar to a sole trader except all parties equally share the profits, loses or risks (as set out in a partnership contract). A company is treated as a separate legal entity. There are additional costs for setting up a company, and ongoing reporting and record keeping requirements. Company tax rates are different. 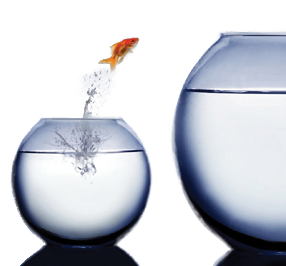 Many people start off as a sole trader (because it’s quicker, easier and cheaper) and then change into a company once they have become established. If you expect to turnover at least $75,000 or more in your first year then register for GST (if not, you can register at a later date once your projected earnings reach $75,000). Should you register for GST straight away? If you register for GST when you start your business, you’ll be able to claim back the 10% GST cost on many of the goods and services you purchase; however, it also means you’ll need to add 10% on top of the cost of the services you provide. GST registered businesses are required to complete a quarterly or monthly business activity statement (BAS). Most types of cleaning are not regulated in Australia, and therefore there are no minimum qualification requirements. However, it is important to check with your state licensing body (see links below) & your local council to see if there are any specific requirements you need to be aware of (e.g. health regulations). Whilst there may be no minimum entry requirements or required qualifications, it is worth considering completing a training course before you go into someone’s house or business to offer your cleaning services, especially if you have no experience. A recognised qualification will provide you with the relevant skills, knowledge and expertise to complete cleaning jobs correctly and efficiently. A course will teach you about the correct equipment and products to use, and show you how to become a professional cleaner. Your qualifications can also become a tool you use in your marketing to stand out from the competition. You should take out public liability insurance ($5 million minimum; however, some commercial clients will require up to $15 million) to cover any accidents or damage that occur whilst working at a client’s property. If you take on employees, you’ll need workers’ compensation insurance to cover them, too. There are other types of insurance you may want to consider, including: business vehicle insurance, business interruption insurance and income protection insurance. Talk to your solicitor to confirm the specific insurance requirements for your business. Get an accountant from the start. They will help you set up your business and put the correct accounting practices in place. Make sure you keep all invoices and receipts (you are required to keep records for a minimum of 5 years). Once you have a system in place, record keeping and tax doesn’t have to be a long, difficult process as long as you keep on top of it. The equipment you need will depend a lot on the type of cleaning business you have decided to launch. 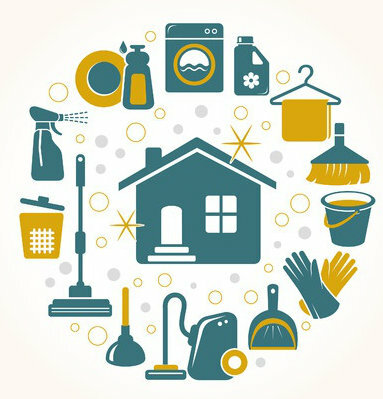 You can start a residential cleaning service with just a few basic supplies, and you don’t need to purchase anything until you’ve landed your first client! A good quality vacuum cleaner is probably going to be the most expensive item of equipment, but you don’t need one with all the bells and whistles to get started with. Other items include a mop (& bucket), rags, cloths, toilet brush, dusters, broom, dustpan and brush and paper towels. You’ll also need cleaning products such as an all-purpose spray, furniture polish and window cleaner. We recommend choosing environmentally friendly, commercial grade cleaning supplies (rather than the regular products you can buy in a supermarket). Don’t be tempted to go for low quality tools or products simply to save money; you’ll end up spending more time at each job to get the desired result, and you could even end up damaging your client’s house or office furniture / carpets. When you look around your local area, it might seem like there are already lots of competitors out there – and the truth is, there probably are. However, it doesn’t take much to stand out from the crowd and start attracting new clients and customers. Very few companies provide exceptional customer service, but those who do rarely have to advertise because their clients do it for them. Spend time making sure you exceed customer expectations and you’ll instantly stand out from the competition. This could be as simple as making sure you always sound friendly when you pick up the phone, and ensuring you turn up when you say you will. Little touches such as leaving a handwritten note, offering a discount for repeat customers, or sending a card on a client’s birthday all make a big impact (and cost very little to do). Clients will usually choose a specialist over a generalist where there is one available. For example, an office manager is probably going to choose an experienced office cleaning company to clean their large office, rather than a ‘general’ cleaning company – because they know they’ll have the skills and experience needed to get the job done quickly, and be used to working unsociable hours to clean when the office is empty. One way to stand out from the crowd is to become really proficient and well-known for providing a specific service (think end of lease cleaning, office cleaning, commercial carpet cleaning). Also, don’t forget about outdoor cleaning options such as gutter, exterior pressure washing or window cleaning. 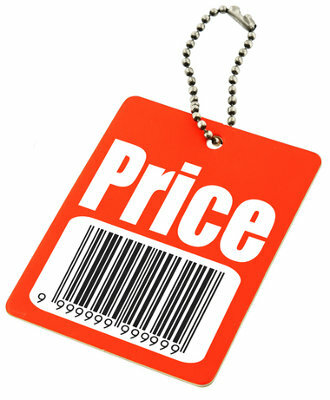 Step 6: Pricing – Getting It Right! Don’t try and compete on price. We know it’s tempting, especially when you see your competitors offering crazy deals, but you’ll end up with low profit margins and feel like you are working for nothing. In our experience, the worst customers and clients are the ones who haggle over price. Put a value on your service and be proud to tell people what you / your services are worth. You’ll find that people are prepared to pay more for a quality service, and by positioning your cleaning business as a ‘premium quality’ business, you’ll be able to raise your prices and attract the best clients & customers. This doesn’t mean that you shouldn’t provide special offers or package deals to entice new customers and increase the amount of money a client is spending with you. For example, you could offer an introductory discount or create a value-add package which includes additional services. You’ll find more information on calculating your price in our cleaning business guide, which covers pricing in more detail. Many people think they know how to start a cleaning business and jump in; however, the thing people often forget to think about is the most important part: finding people who are prepared to pay for your service! Without customers you don’t have a business – and unfortunately, they won’t just appear magically one day when you ‘open your doors’! One thing to keep in mind is the lifetime value of your customers. 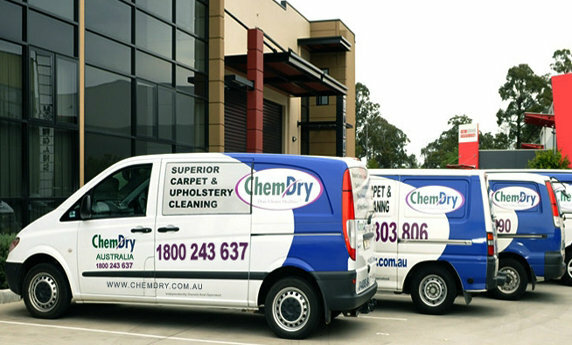 For example: imagine you offer a commercial carpet cleaning service in Sydney, and your average job is worth about $500. You might know that most clients have their carpets cleaned 3 times a year and they stick with you for about 3 years, so your lifetime customer value is $4,500. So you can see when you look at the lifetime value, rather than the value of the first job, you can spend a bit more on marketing to gather your initial customers. Referrals are the Best Way to Get New Customers! If you follow step 5 and go ‘above and beyond’ to provide a great service, you’ll find people start referring their family, friends and colleagues to you. You can, and should, encourage referrals by offering your existing client a discount (e.g. an hour’s free cleaning) for every new client they refer to you. The most effective techniques usually involve building relationships with other companies who have an existing client base, such as real estate agents and property managers. Other forms of marketing such as local community events, flyers, leaflet drops and some newspaper advertising can be effective (especially in community publications). If you are planning to offer a general cleaning service, traditional directories like the Yellow Pages are probably not going to prove effective, as most people now go online to find the information they need. It is impossible to ignore the internet, and at a minimum your business should have a professional looking website. Most people now go straight to Google (and other search engines) to find a cleaning business in their local area, so you need to think about making your company visible when people search online. Being listed at the top of Google really can bring in a steady stream of new leads every single day. You can either purchase advertising (e.g. Google Adwords) or work with a company who specialise in getting your business to the top of page 1 on the search engines organically (this is known as search engine optimisation). Your goal should be to ‘get yourself out of the business’ as quickly as you can. When you are doing all the cleaning work yourself, your income is limited to the number of hours you can work. If you are sick or want to take a holiday, you don’t get paid (and might lose clients to your competition). To create a business that allows you to live the lifestyle you’ve always wanted, you need to start working ‘on the business’ rather than in it. Start this by creating a process for everything you currently do. These processes and systems can then be handed over to someone else who can easily follow them. A detailed process reduces training time / costs, and ensures quality control. When it comes to taking on extra help, you’ve got two real options: hire sub-contractors or employ staff – and there are advantages and disadvantages to both. Initially you may wish to use sub-contractors as they will already be fully trained, have the right equipment, be available immediately & are available on an ‘as needed’ basis. However, it can be difficult to manage quality, they have little loyalty, and are usually more expensive than a member of staff. As you grow, and your work becomes more stable, you can look into hiring employees. There are a number of obligations you have to meet when you employ staff (including PAYG tax and superannuation payments). Reading about how to start a cleaning business is important, and it’s definitely worth creating a plan, learning how to avoid the mistakes others have made, and finding out what works before you start. But if you don’t use it – it won’t help you! 90% of people will read this guide and do nothing. For these people, their dream will remain a dream. However, if you are one of the 10% of people who decide to TAKE ACTION and GET STARTED, you’ll be well on your way to creating a profitable business. A business which could provide you with the income, flexibility and freedom you’ve always wanted. Make a commitment, take a step into the unknown and enjoy the journey – it will be worth it! Remember, we are here to help and support you every step of the way! When you request our free checklist and quick-start plan, you’ll receive a welcome e-mail from me (Tom White, Founder of Trusted Cleaner). If you have any questions, please just reply to that email and I will do my best to help (I personally read and respond to every e-mail I receive). I originally wrote this guide 4 years ago and since then thousands of people around the world have used it to help them start their own cleaning business, and create more freedom and flexibility in their lives. I have a full-time job, is it possible to start my cleaning business while still working my full-time job? Yes, just start slowly & gradually build things up. Get a few regular clients who are happy for you to clean at the weekend or before / after you finish work. Build-up your client base and then try to discuss flexible / reduced hours with your employer until you are ready to quit. You could also look in to providing office or commercial cleaning services which is usually completed in the evening. There are so many cleaning businesses out there already is it really possible to make an income doing this? Yes! The demand for cleaning services continues to rise which provides new opportunities, and as with all industries some businesses close as owners retire or move away. You will also find that most cleaning businesses are not run very professionally so if you can come in with a professional attitude and look after your clients your business will grow quickly. What is the best way to find clients for my cleaning business in 2018? Referrals are still very powerful, but online marketing is also now very important. Getting your business listed in the major directories, mastering the basics of social media marketing and getting an effective website are all very important in today’s economy. I’ll be adding more FAQ’s and useful resources throughout the year so don’t forget to check back again later. Below you’ll find a list of websites and organisations who provide further information on licensing / training requirements (which sometimes vary in different states) and starting a business in Australia. Below you’ll find 8 simple steps that ‘walk’ you through the process of starting, growing and ‘systemising’ your cleaning business (with no experience or special skills required). Step 2: Buy a Franchise or Start Your Own Business? 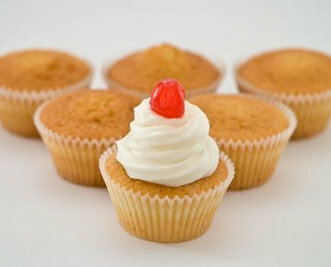 Step 5: Move Over Competitors: How to Stand Out from the Crowd! Step 6: Pricing: Getting It Right!